To commemorate National Autism Awareness Month, the city of Temecula is hosting its annual “Light it Up Blue” event in conjunction with the Our Nicolas Foundation. 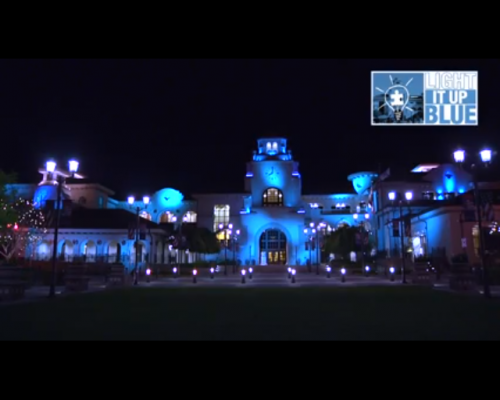 This year on April 2nd, 2014 at 6:30 pm Temecula’s City Hall will be bathed in blue light. In addition many landmarks, hotels, etc will be participating by using blue lights of their own. The city welcomes community members to stop by the city hall after the event to pick up a bracelet and a blue light to display. For more information you can visit the City of Temecula’s Website or view The Article in the San Diego Daily Transcript. You can also watch a Video of Last Years Event and find Additional Autism Resources for Temecula.